What room doesn't need an extra place to hold a lamp, flowers or your current favorite novel? 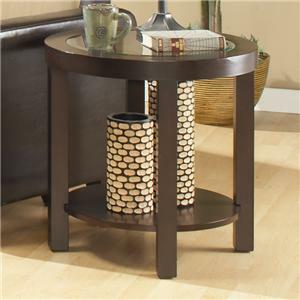 Our Biscayne Collection end table with a golden linear metal base and Biscayne Weathered raised edge wood top, will go with virtually any decor, and fit perfectly next to your chair or on either side of your comfy sofa. 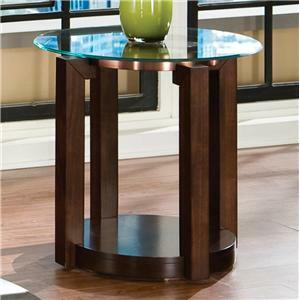 The Biscayne End Table by Coast to Coast Imports at Carolina Direct in the Greenville, Spartanburg, Anderson, Upstate, Simpsonville, Clemson, SC area. Product availability may vary. Contact us for the most current availability on this product. 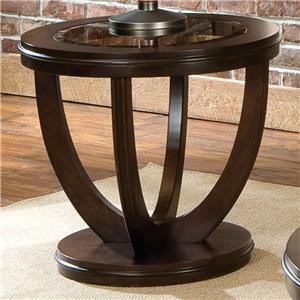 Browse other items in the Biscayne collection from Carolina Direct in the Greenville, Spartanburg, Anderson, Upstate, Simpsonville, Clemson, SC area.